Not a day goes by that I don’t eat broccoli. Or tomatoes. They are my personal little superfoods and make up for all the desserts I eat, or so I tell myself. But as much as I love broccoli sometimes I just have to jazz it up. And there’s where Parmesan cheese and a balsamic glaze come into play. 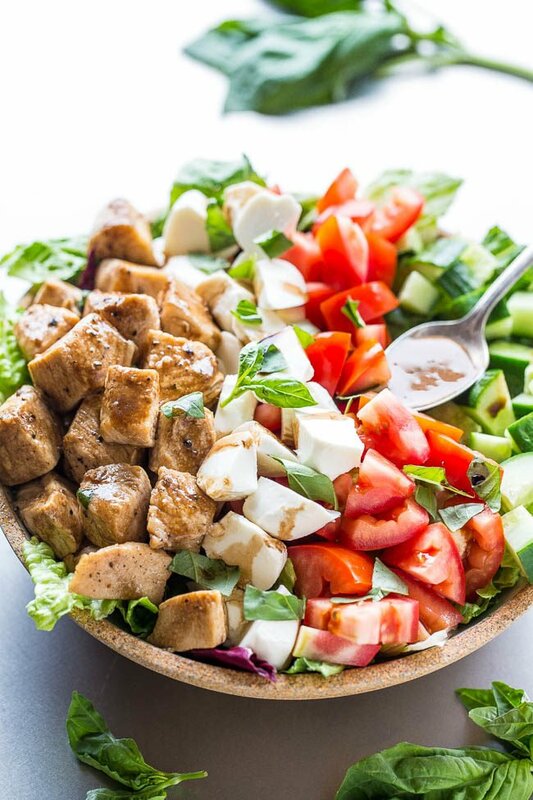 Anything balsamic and I’m automatically in. Same with cheese. It’s a super simple side dish that’s perfect for anything from busy weeknights to holiday celebrations. 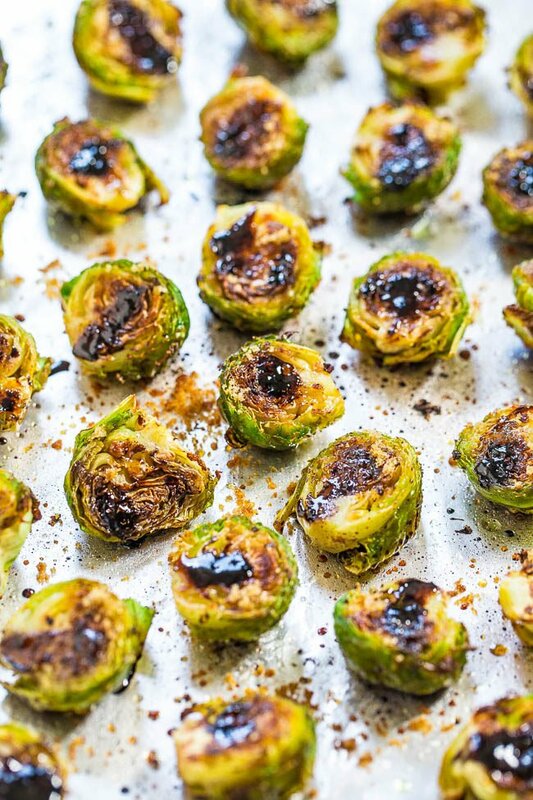 It reminds me of these Balsamic Roasted Brussels Sprouts but with Parmesan and broccoli instead of sprouts. I use Trader Joe’s Balsamic Glaze. Most grocery stores carry balsamic glazes or balsamic reductions these days or easily make your own. You want to use a glaze or reduction rather than straight balsamic vinegar for this recipe. I love my broccoli and all my roasted, broiled, or grilled vegetables blackened to an inch of its life, i.e. burned. When blog photography isn’t involved I go much darker than I have here. Depending on your personal preference for char, bake accordingly, use the suggested baking times as estimates only, and keep an eye on things. 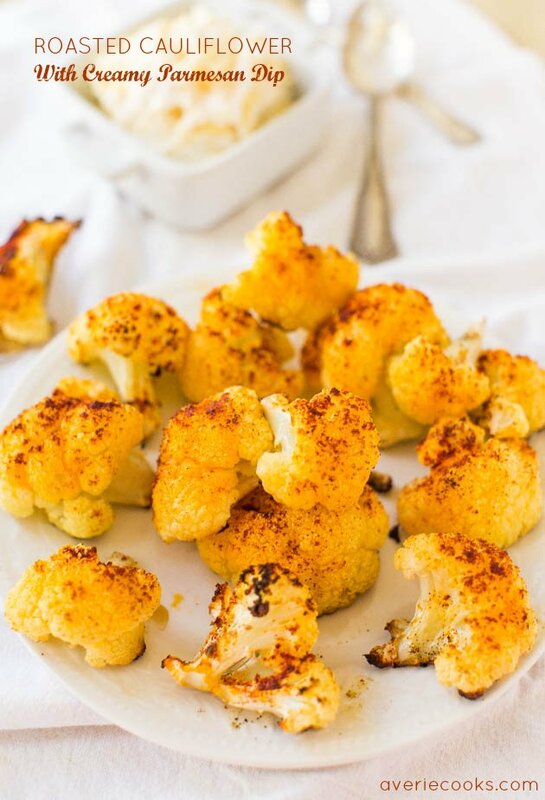 This is a super simple side dish that’s perfect for anything from busy weeknights to holiday celebrations. I use Trader Joe’s Balsamic Glaze but there are many grocery stores that carry balsamic glazes or balsamic reductions or make your own. You want to use a glaze or reduction rather than straight balsamic vinegar. Depending on your personal preference for char, bake accordingly, use the suggested baking times as estimates only, and keep an eye on things. 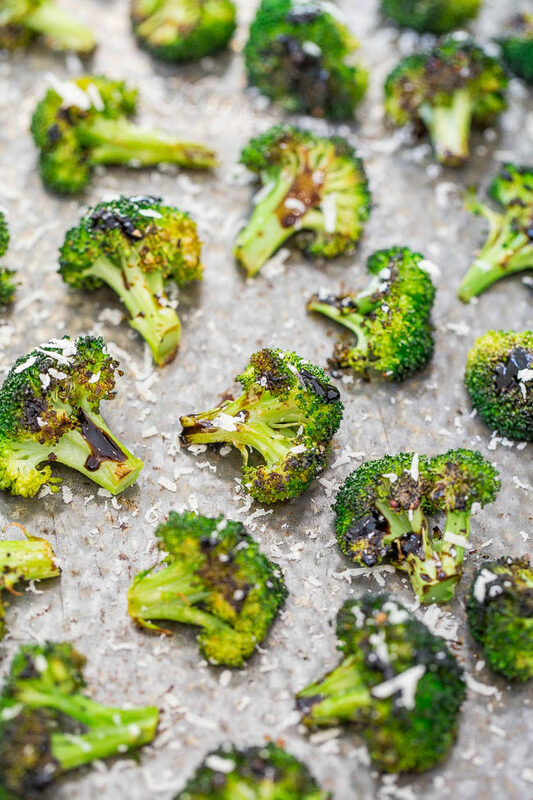 Add the broccoli to the baking sheet, evenly drizzle with olive oil (or spray with olive oil), season with salt and pepper to taste, and toss with your hands to evenly coat. 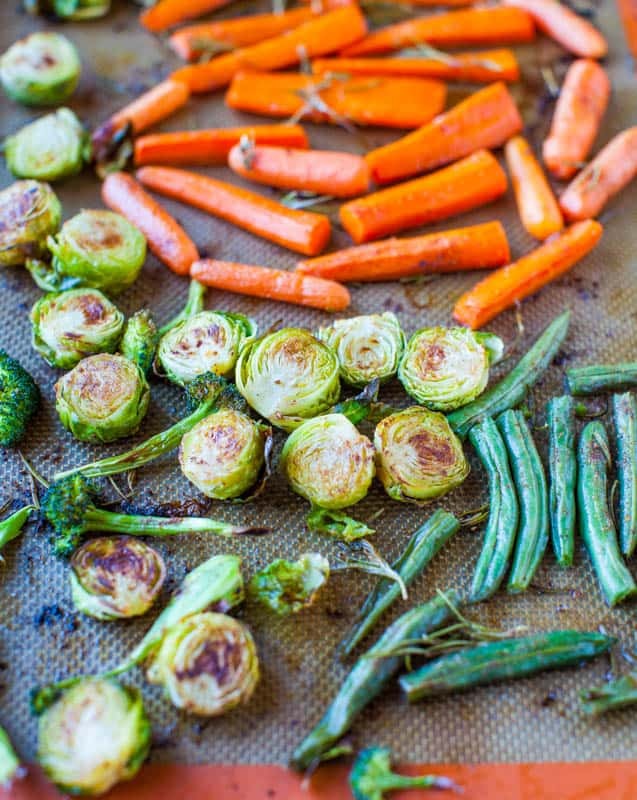 Allow space between the florets and don’t keep them in a tight pile so that they roast rather than steam. Bake for about 12 minutes, or until the broccoli is browning on the underside. 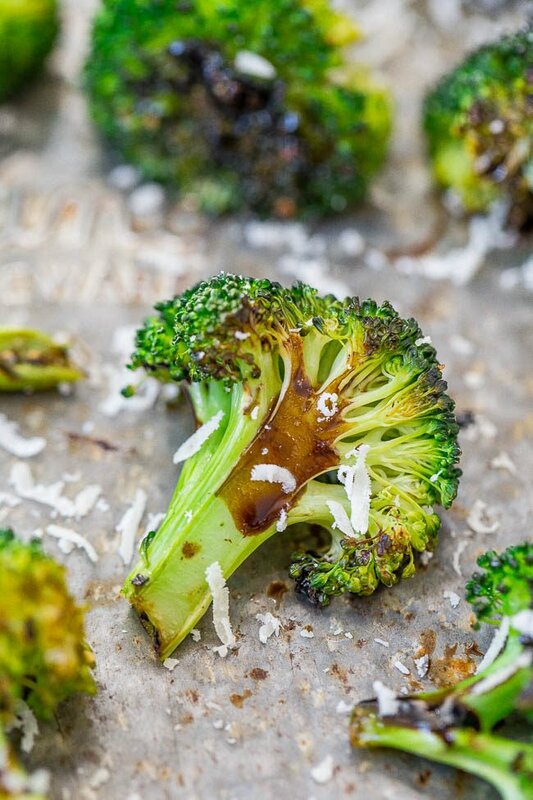 Remove baking sheet from oven, flip broccoli over with tongs, and evenly drizzle with balsamic to taste. Return baking sheet to oven and bake for about 3 to 5 minutes, or until as dark as desired. Baking times will vary based on the size of the florets, personal preference for doneness, oven and climate variances, etc. Keep a close eye on it because it can go from underdone to nicely blacked to burnt in just a couple minutes. Evenly sprinkle with Parmesan to taste and serve immediately. Broccoli is best warm and fresh. 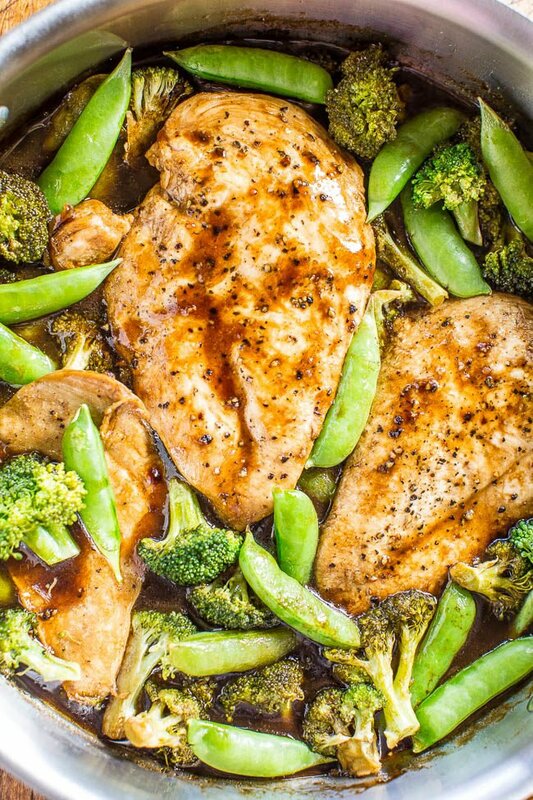 One-Skillet Balsamic Chicken and Vegetables – A tangy-sweet balsamic glaze coats juicy chicken and crisp-tender veggies!! Healthy, easy, ready in 15 minutes, and perfect for busy weeknights! It’s a keeper!! 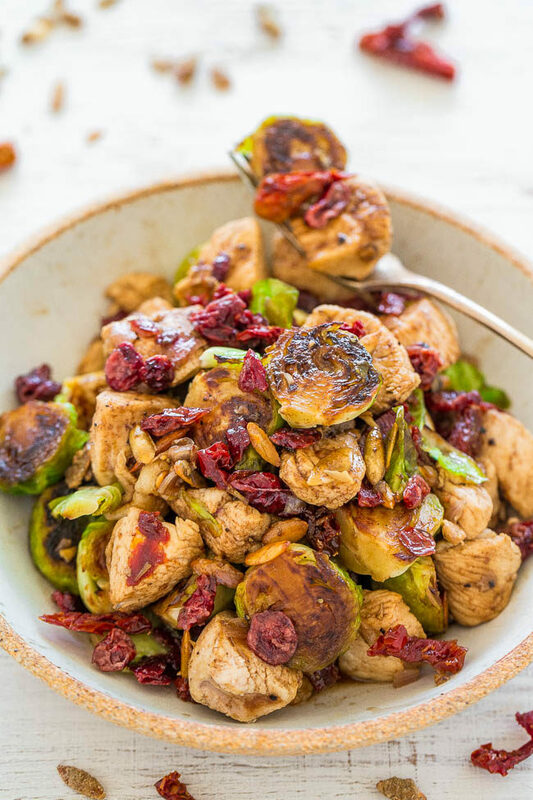 Balsamic Chicken, Brussels Sprouts, Cranberries and Pumpkin Seeds – Easy, hearty, healthy, one-skillet dish that’s ready in 20 minutes! 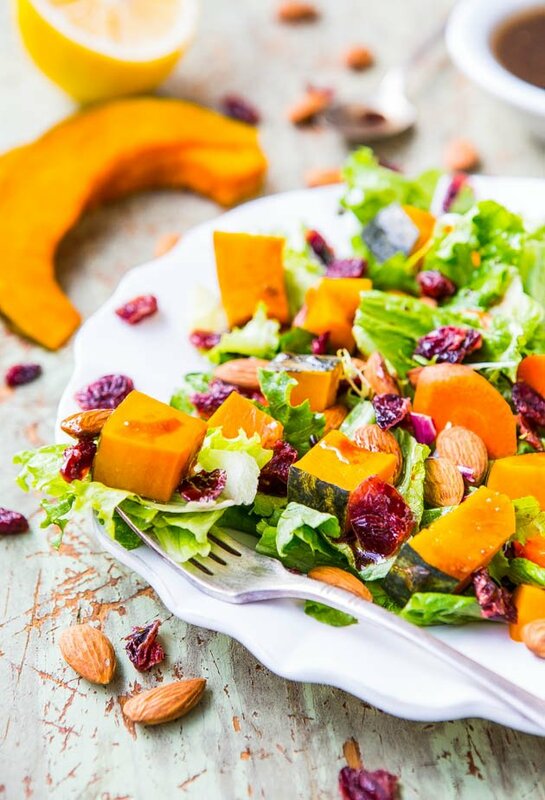 Juicy chicken, crisp-tender sprouts, chewy cranberries and crunchy pumpkin seeds! Roasted broccoli is one of my favourite vegetable dishes: I usually just toss it with some olive oil, salt and pepper! I’ve gotta try it with Parmesan cheese next time, sounds absolutely delicious. And balsamic vinegar or glaze is ALWAYS a good idea! 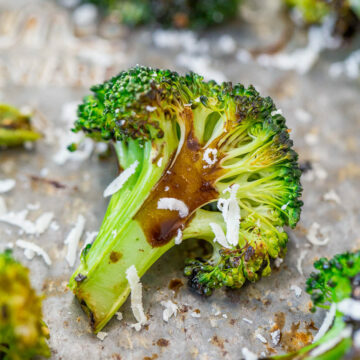 If you already love roasted broccoli, Parm and balsamic just make it that much better! I love just about any vegetable that has been roasted but broccoli is also one of my favorites!! Those brussels sprouts were fantastic too. I have finally figured out that throwing a a towel over my smoke alarm when I run the oven at 425 or higher prevents me from being startled out of my skin halfway through the process. That’s a great tip about the towel over the smoke alarm. Not sure how I would rig that to keep the towel actually over it unless I got up on a ladder and taped the towel to the ceiling…LOL…but I wish I could! Because yes, startled out of your skin is not fun! Roasted broccoli is like crack to me. Then you add cheese?? My family doesn’t like it roasted, no worries – MORE FOR ME! Thank you, as always, for your nice comments! Roasted Broccoli is my winter go-to – along with a lot of tahini yogurt sauce. Mmmm. 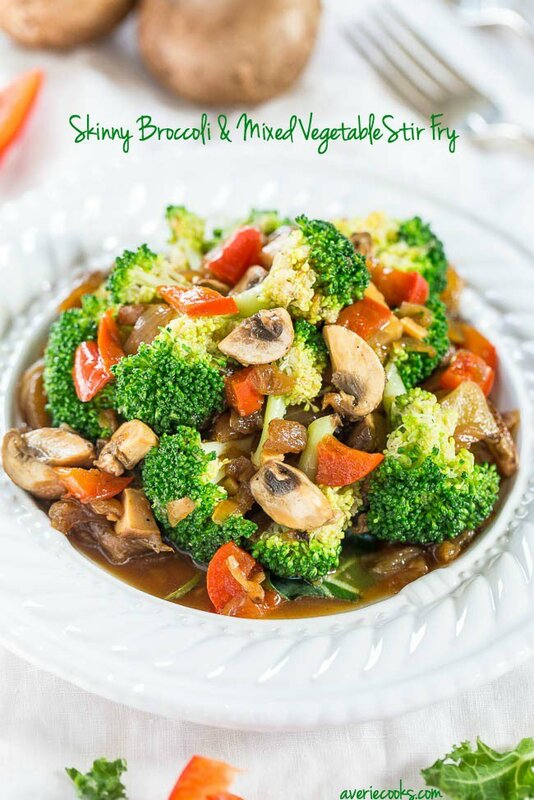 sometimes i forget how much i love broccoli…i feel like i don’t make it enough, but this recipe sounds so easy & simple! maybe i’ll try it for meal-prep next week :) thank you for sharing! What is the best method for cleaning/rinsing broccoli? And can you use frozen broccoli for the recipie? Under cold running water; no.